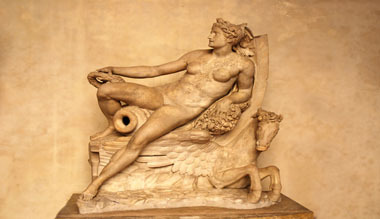 Florence Museums | Travel to Florence.com, your online travel guide. 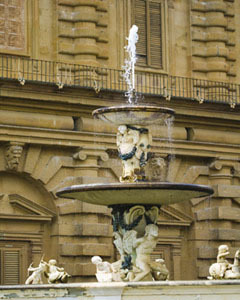 Nowhere else will you find as many of the world's treasures as in Florence. Just walking the streets and gazing upon its architecture and piazzas will give you a profound understanding of beauty and style but it's in the five major museums that your feelings turn to amazement. After a trip to Florence I'm always haunted by the same question as I wait in the airport, "How is it possible that so many brilliant people came together in the same place?". Whether the planets aligned perfectly or the citizens of Florence were all blessed by a higher being, all you have to do is visit the following five museums and you will be transformed for life. 3) Pitti Palace- The Pitti Palace in Florence, Italy, was originally started in 1457 under order of Luca Pitti, a Florentine banker. The design and construction has been attributed to Leon Alberti by some, and Filippo Brunelleschi by the majority of art critics. Work was interrupted in 1465 when the Pitti family declined and was taken over by Eleonora di Toledo and the architect, Bartolomeo Ammannati, who completed three floors. Pitti Palace full story. As you can imagine, crowds in season can be horrendous so it is best to get an early start on the day. Museum lines start to wrap around the corner at about 8:30am and waits can be long. It is worth getting up a little early to hit the museums in the morning. You can spend a lazy afternoon walking the piazzas or shopping while the other tourist are jockeying for position to get into the museums. One of the most important things to do while planning your trip is to maximize the time that you have available to you. A lot of time is wasted by waiting in line for museums and attractions. It is not uncommon to see a half mile long line for the Accademia and the line for the Uffizi isn't much better! This is the reason why any trip planning should include a visit to Select Italy. Select Italy will allow you to purchase museum and attraction tickets before you leave for Italy. You will forego all lines for the Accademia, Uffizi and the Pitti Palace saving you many uncomfortable hours of waiting in line. They also offer guided tours of the museums which will give you a better understanding of what you are looking at. Click on the link below to check out their site.